SOURCE MINISTRIES INTERNATIONAL, INC. is a grace-oriented inter-denominational Christian Ministry, established on Thanksgiving day November 26, 1982. 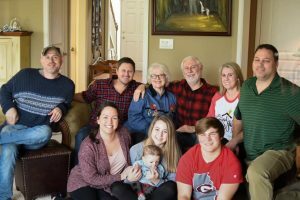 SOURCE is a global Christian discipleship and leadership-training ministry located in ATLANTA, GEORGIA, USA. SOURCE is committed to a grace-oriented approach to ministry based on Christ and the Cross emphasizing our union with Christ as our life. We are called to point people to the Source of Life in Christ: Not just Christ central, but Christ total. 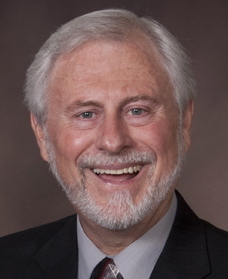 Dr. Lewis W. Gregory is the president of Source Ministries. SOURCE is blessed with a godly board of directors who can offer words of biblical wisdom and practical guidance. The legal structure of SOURCE is that of a nonprofit 501(c)(3) corporation. 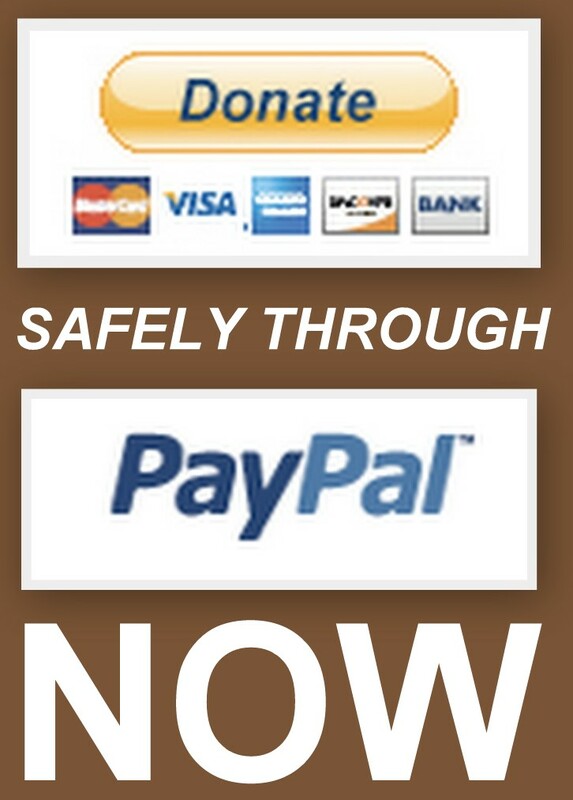 As a faith-based Christian ministry all donations are tax deductible and greatly appreciated! 1. Reconciling people to God and others. 2. Building up the body of Christ. 3. Equipping Christians for ministry. 4. Challenging believers to draw upon the authority and power available in Christ. 5. Encouraging and advising leaders. 6. Foreign Missions ministry to ministers in seminaries and churches. Knowing God is the way to life! Do you really know God? Many people think they know God, when actually they only know about Him. There is far more to knowing God than merely having an intellectual knowledge of Him. What is the first step in knowing God? 1. Admit your need — Your faults, failures, bad habits and human conflicts are all indications that your need is critical. Such shortcomings in your life God calls sin. For all have sinned, and come short of the glory of God (Romans 3:23). These sins are proof that you are a sinner. A sinner is a person with an evil nature, who is without God and thus without hope. Therefore, you need God. 2. Acknowledge God’s solution — God loves you very much! And He proved it by what He did for us. He provided a solution to your problem, and a plan for your life. God’s solution was to send His Son Jesus Christ to live the perfect life, and then die the perfect death on the cross for our sins. But God commends His love toward us, in that, while we were yet sinners, Christ died for us (Romans 5:8). God’s plan is for you to know Him, and experience His quality of life. Jesus Christ explained this when He said, I am come that they might have life, and that they might have it more abundantly (John 10:10). 3. Accept God’s provision — God has made ample provision for all your needs through Jesus Christ. As a sinner, you do not deserve this, and there is nothing you can do to earn it. However, Jesus Christ paid the price for you through His death on the cross. Therefore, God offers this great salvation to you as a free gift. For by grace are you saved through faith; and that not of yourselves: it is the gift of God (Ephesians 2:8). Your part is to accept by faith what God has done for you, and receive Jesus Christ as your Lord and savior. But as many as received Him, to them gave He power to become the sons of God, even to them that believe on His name (John 1:12). If you told God this, and it was your heartfelt desire, then you have just become a Christian. Congratulations! You have made an excellent decision. This is the greatest thing that could ever happen to anyone. The Lord Jesus Christ described it as being born of the Spirit (John 3:8). Your new birth results in a new life. It is the Christian life, which is really the life of Christ Himself. And He is now your life! You have been made one with God the Father through your union with Christ! You have just entered a new realm, the kingdom of God. You are now a brand new person, a child of God! And this is life eternal, that they might know you the only true God, and Jesus Christ whom you have sent (John 17:3). Knowing God is also a way of life! If you have just made this momentous decision please send us an e-mail at source@integrity.com so we can provide you with continuous follow-up through our SOURCE MINISTRIES weekly TGIM! GOOD NEWS Email. 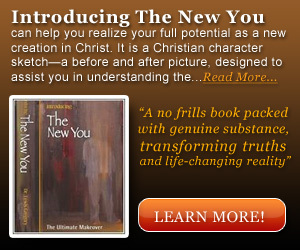 Introducing The New You is also an excellent resource to assist you as you begin your new life in Christ.